Make mealtime ZOO time! Your little ones will love having their very own plate featuring their favorite ZOO character! Bright colors and whimsical faces make mealtime fun. 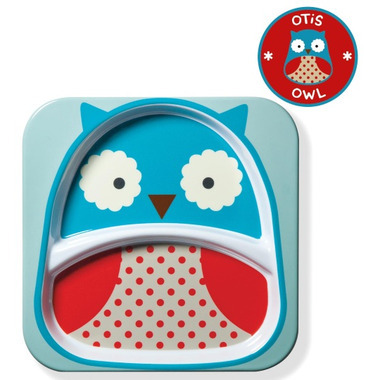 Love this Skip Hop Owl Plate? 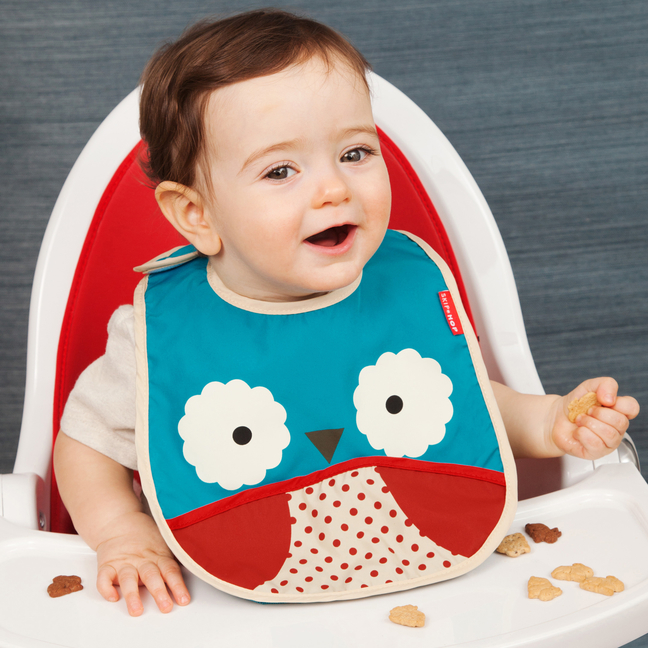 Discover the matching bib and bowl! Really disappointed in this product and the matching bowl. The first plate we had broke into two pieces when my toddler dropped it from his high chair. Well.CA replaced it but the replacement broke as well. The bowl is also broken. With the great reviews, this is a shock. If your toddler pushes his plate off his tray, this product is not for you. 1 star because it's cute. Toddler loves his Oowwwwllll plate. Cleans well by hand. Really love this place. It's sturdy, cute, and the print is durable enough to go through my dishwasher and not fade! My daughter loves the bright colors and separate compartments! Very cute and a nice size. I bought it as a gift for my grandson - not sure how practical it will be but the pattern is really cute and my daughter loved it! At first I thought this plate was adorable and ordered it based on looks and my need for a to compartment plate. Although I agree with the other reviews, I find the compartments to be shallow, making food cool much faster as a result. I wish it were deeper with smaller openings. This plate is really cute and made of high quality plastic. I'm sure it will stand up to being tossed around by a toddler and many rounds in the dishwasher. This is a great plate for my toodler super cute and the high edges help keep him from pushing food off of his plate! This whole line of dishes are super for children! The colours and designs are inviting and just the right size for them.